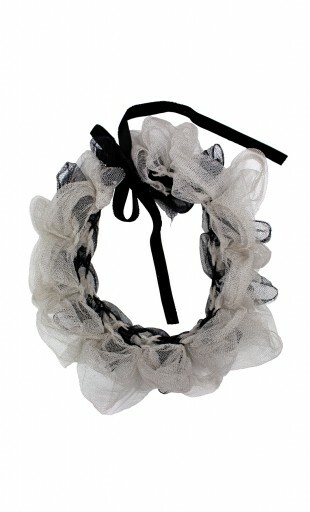 The choker and bracelet accessory is made from a light grey and black soft silk tulle. The choker comes with small velvet ties at the back. 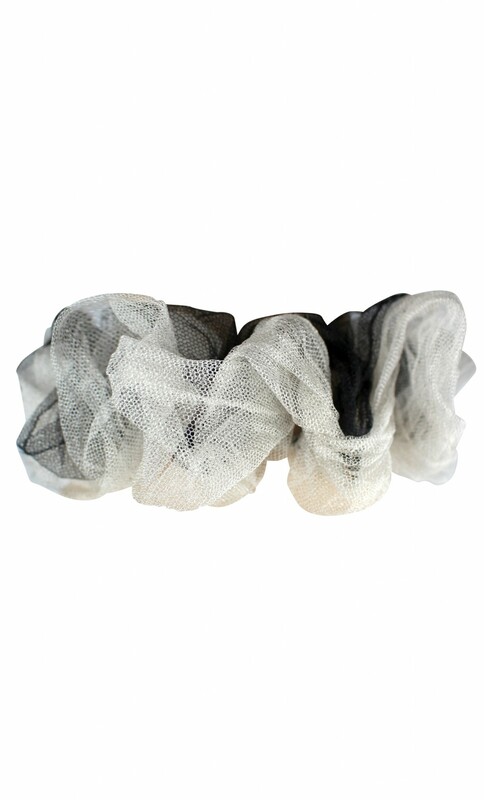 The silk tulle bracelet has an elasticated base.